Could Not connect with the protagonists.Changed a lot from book.This could have been better if adult watchers were taken in consideration.Not worth time and money.A bad movie. One way to pass time. Harmless fun through the antics of the animated animals. 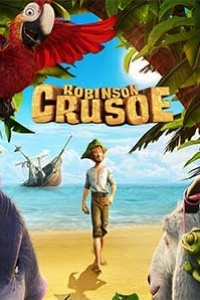 Just takes the inspiration from Robinson Crusoe and doesn't do anything more. Children will enjoy the last half hour which is full of stunts like in "Home Alone"
Good.. Super time pass animation 3D flick.. Nice story.. Could've been still better.. Easily once watchable.. Not boring.. Voices were good.. Perfect 90 minutes.. Awesome animation ! Haven't seen this superfine 3D in quite sometime. Storyline was okay. Overall Entertaining ! Children will love it for the animals.